Along the Mljet’s 135 km long coastline numerous coves, bays and stretches of coast form a variety of beaches and swimming spots. Inside the island, on its two salted lakes, there are also some great places to swim and sunbathe. 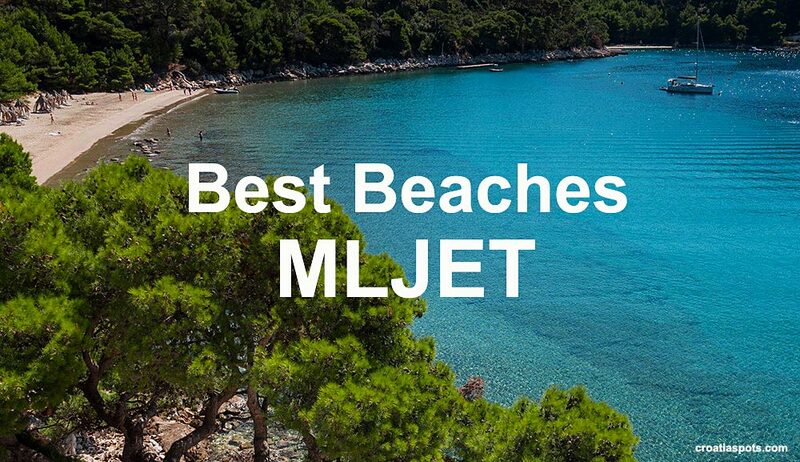 Beaches and swimming spots on Mljet are mostly pebbly and rocky with exception of two sandy beaches situated on the southeastern tip of the island. Situated just 13.5 nautical miles west of Dubrovnik, Mljet is the island that contains one of the Croatian national parks – Mljet National Park (info). It covers the area of about 54 square km of the whole western bit of the island. The Park also includes two salted lakes – Veliko and Malo Jezero. The population of the island is about 1100 permanent inhabitants. Initially settled by Greeks and Romans, in 1410 the island becomes part of Ragusa, the Dubrovnik’s republic. After the brief Napoleon rule at the beginning of the 19th century, the Austro Hungarian empire continued to rule the island for a number of years. The island became part of the Croatian territory at the end of the WW1. Another sandy bay on the island, in the near vicinity of Saplunara. A wonderfully unspoilt beach, hidden from the crowd, Blaca Limuni is a great place for naturists, nudists and nature lovers. Just a 15 minutes easy walk from Saplunara, virtually around the corner (or horn) lays this isolated bay completely wild and unspoiled. Waters here are very shallow so passing by sailors rarely stops here, making this swimming place quite for the most of the time. One of the most popular pebbly beaches on the island, Sutmiholjska is situated in the sheltered bay on the southern coast. Sunny all day long, the beach is popular among families with the small children and non-swimmers. There are a couple of old cottages in the bay, right at the beach, and few larger ones, offering some basic accommodation. This beach tends to get crowded in the high season, although it is also outside the National park but much closer to it than Saplunara. Islet of Sveta Marija, located in the Veliko Jezero lake is probably my favourite swimming as well as snorkeling spot on the island, especially if I visit the island just for a day. Situated in the very heart of the National Park (map), the islet is easily reachable by small electric powered boat running up and down between the main entrance to the park and islet. The best place to swim here is on the northern part of the islet’s coast, away from the restaurant and tourist crowd visiting island’s Monastery. The coast here is rocky with some gentle slopes into the sea making entry easy for swimming or snorkeling. This swimming spot is a fun place – just lay down on the surface of the water and let yourself float all the way from Small Lake (Malo Jezero) to the Large Lake (Veliko Jezero) passing under a small bridge (Mali Most). As water is continuously circulating between two lakes it forms a fairly strong current right at the spot where two lakes are connected. If you have an inflatable mattress or any kind of inflatable beach toys or accessories, this is the best place to enjoy the ride. Some people like to kayak here, just for fun too. The island is conveniently connected all year round by daily car ferry from Prapratno on Peljesac peninsula (which is on Croatian mainland). Foot passenger ferry from Dubrovnik also serves once a day in all seasons. The fast catamaran services from Dubrovnik, Korcula, Hvar, Brac and Split are running from April to October. 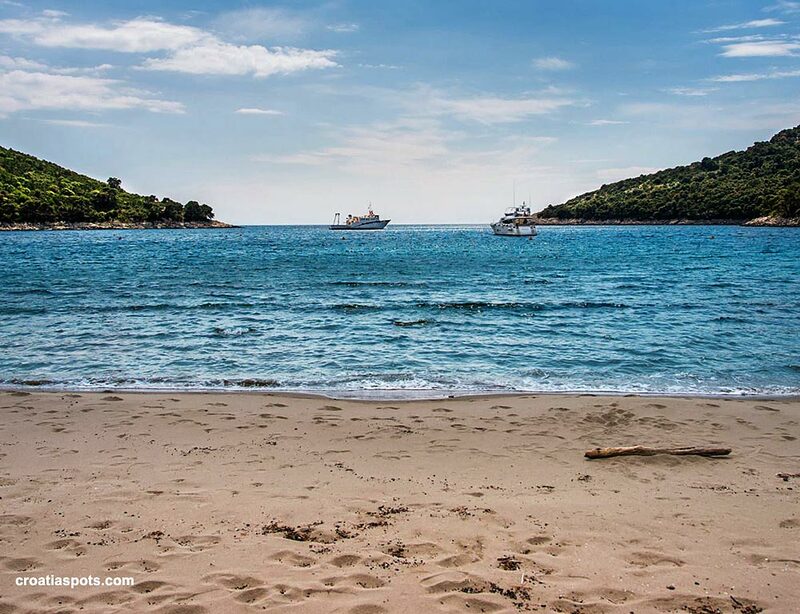 In July and August, it is also connected two times a week by fast catamaran ferry from Lastovo. Check croatiaferries.com website for schedules and details.